Had a client experience an emotional reaction while you are working on them, and felt at a loss about what to do? Had a client return every week with the same, recurring complaint, and felt helpless to provide lasting, effective relief? Wanted to go deeper with clients who are fully invested in and committed to their own healing journeys? Wanted to expand your range of potential clients? Desired to be known as a unique expert in your community? Wished you REALLY knew the secrets to developing a thriving private practice? The Rubenfeld Synergy Method training certification program is the ideal conduit to elevate your practice to the next level, enabling you to provide deeper, transformational results to your clients. Working with all aspects of your clients - physically, emotionally, mentally and spiritually - exponentially increases the effectiveness and ease of providing healing on a cellular level. 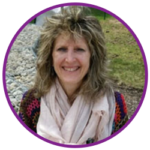 As a bodyworker who seeks to be a catalyst for healing and change in the world, you are perfectly poised to embark upon this training program. With a foundational ability to listen to the body through touch, you already recognize and understand the interaction and interconnectedness between body, mind, emotion, and spirit. By incorporating verbal processing into your practice of listening touch, you will be able to address underlying issues and provide a totality of healing for your clients, helping them to make lasting changes in themselves and their lives. Find out how you can be a catalyst for healing, change in the world AND create a prosperous business by clicking on the link below to schedule a 20-minute phone call with Joan Brooks. 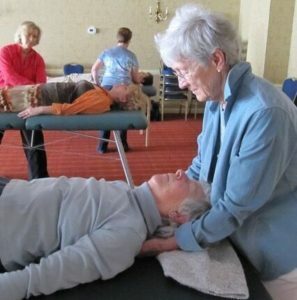 I was already in the healing profession as a massage therapist. Emotions would come up as I worked with clients. I wanted to be able to explore these with my clients, but I didn’t want to “just talk”. I was craving something different, with more depth. I wanted to combine both touch and talk. While searching for a modality that combined both, I came across Rubenfeld Synergy. What attracted me most was integration, yes, integration of touch and talk, and also integration of all parts of the person. That excited me! Lit me up! Certification Training is right for you.